This small batch, artisanal product is for the person who understands that being good with your hands means being good to your hands.�Worker's Soap provides your hands with a heavy-duty, capable clean and it's not just a hand soap. Natural pumice makes it perfectly suited for scrubbing tough spots like elbows and feet. 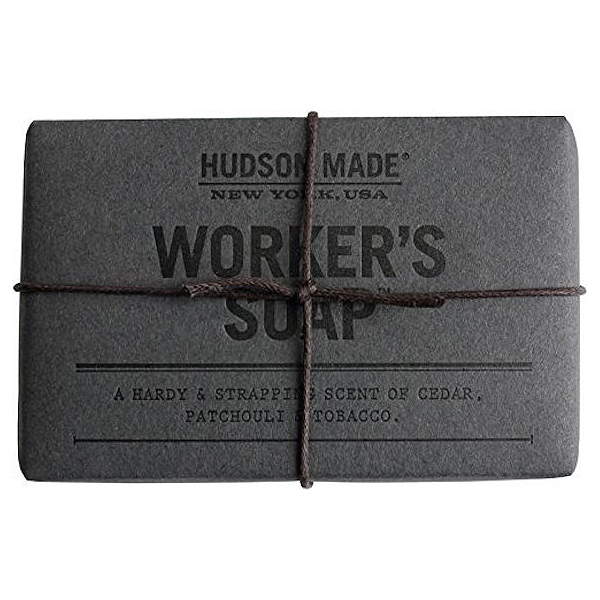 Aromas of tobacco, cedar and patchouli give Worker's Soap an earthy yet refined scent. It will leave your hands soft, refreshed and ever ready for the next big project. - 4 oz.